Teamsters Local 814 announced an agreement with Waldner’s Business Environments today that brings to an end to the unfair labor practice dispute that spread across New York City. Under the agreement, Waldner’s has committed in writing to use companies that pay their workers fair wages and benefits, and Waldner’s has secured jobs for former employees at those delivery companies. Local 814 members approved the agreement in a vote today. Under the agreement, workers will also receive significant severance, in many cases equaling thirty weeks’ pay. Because many former employees have secured jobs with Local 814 companies, they will continue to receive the same strong pension and health benefits package they had at Waldner’s. Waldner’s is one of the largest office furniture companies in the New York City area and has been unionized for over 50 years. 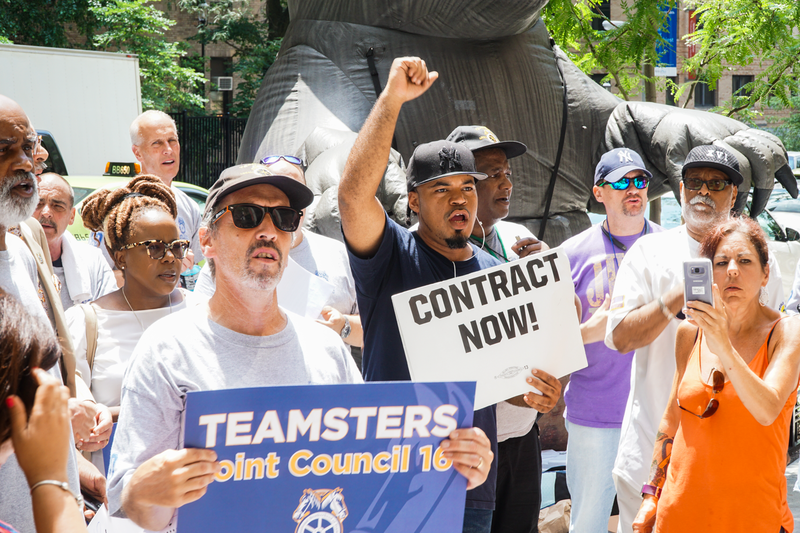 For several months, Waldner’s refused to bargain a new contract with Teamsters Local 814, before locking out union workers on July 5th and replacing them with subcontractors, triggering the union protests. 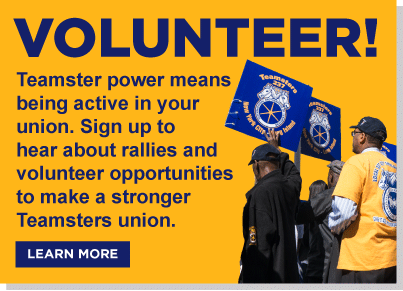 Teamsters Local 814 and Waldner’s workers developed a strategic campaign to bring the company to the table. That campaign included a focus on Waldner’s deliveries to New York Presbyterian Hospital, with repeated rallies outside of the facility. They also received the support of the New York State Nurses Association and 1199 SEIU. The impact of this publicity on the hospital was pivotal to reopening negotiations. The union also contacted Waldner’s other customers for their support. The New York City Economic Development Corporation, upon learning of the labor dispute, ceased business with Waldner’s pending an investigation. Waldner’s workers won the support of labor and progressive organizations across New York and across the country. New York Presbyterian Hospital received hundreds of emails and messages on social media from activists affiliated with the International Brotherhood of Teamsters, the Working Families Party, Democratic Socialists of America, Long Island Federation of Labor, and the New York City Central Labor Council. The union also brought its case to the National Labor Relations Board, which had notified Waldner’s that it was preparing to issue an official complaint against the company. John R. Durso, President of the Long Island Federation of Labor, AFL-CIO, called the settlement of the dispute between Teamsters Local 814 and Waldner’s Business Environments a great victory for the long-term, loyal employees of the company, for their families, and the union. “Without the persistence of the union leadership and members over many months, who refused to allow the company to undermine the standards of their industry, this settlement would not be possible. We thank the elected and community leaders who pitched in to make this victory possible,” Durso said.